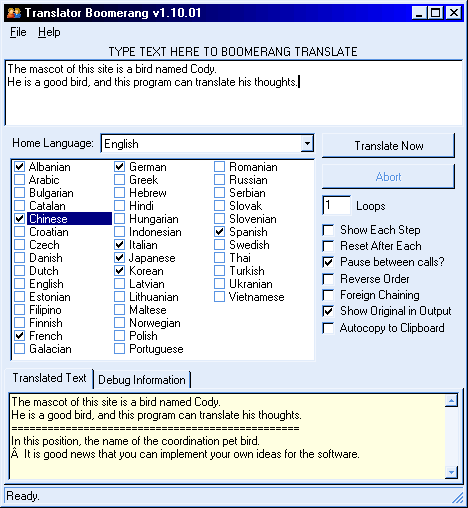 Translator Boomerang is an joke program that uses the Google Translation engine to translate your English text to foreign languages and then back again into English, for some amusing results. How to extract: Download the ZIP package and extract to a folder of your choice. Launch TranslatorBoomerang.exe.